Congrats on a beautiful app. I went ahead and purchased premium to support your work though I am not quite ready to make Agenda my go to notes app yet (currently using Evernote). Are you considering adding Evernote import? That would make switching easier. We would like to do that, yes. Any updates on an ETA for the evernote import?? No. We are fully focussed on iOS at the moment, and will tackle inline images after that. So don’t expect it in the immediate future I’m afraid. Now that the iOS app is there and Apple choosed Agenda to be a design award winning app are there any news on the Evernote import? I assume many will switch once this is in place because noone wants to move hundreds and thousands of notes from one app to another by hand. This is number two on my Agenda wish list. After embedding images and files in a note. I’ll also chime in that I’d like Evernote import. Obviously, it’ll need embedded images/files, since that’s a lot of what I have in Evernote. I’d really like to switch completely from Evernote to Agenda, but … well, I have a lot of notes. Our plan is to indeed first ship the inline images and attachment features (we’re working on it as we speak) and after that add an Evernote import option. Evernote is on the shaky ground from the recent report and I have thousands of notes because they are so easy to search. So if you can developer import and search tool, I can leave Evernote for good. Now that images and attachments are working, any update in Evernote import? I really like this app, but I have years worth of work in Evernote that I would like to import. Awesome… Thanks a bunch Mike! 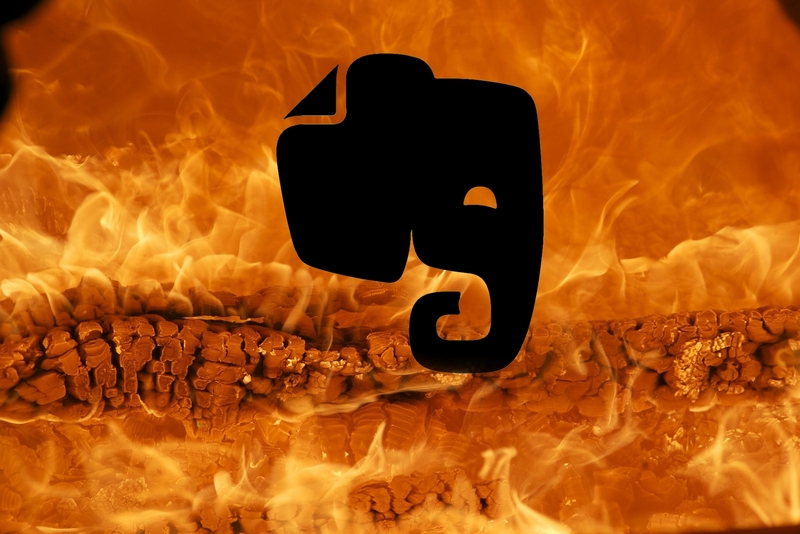 Evernote, the company behind the popular note-taking app, appears to be in trouble. If you’re worried about Evernote going under, now may be a good time to transfer your notes over to Apple’s Notes app for safe-keeping. Here’s how. any news about the Evernote import? It’s still something on our to-do list, no ETA yet I’m afraid. Right now the Evernote app doesn’t even work. People are complaining in the App Store that searches are failing. I’ve confirmed this myself. And Evernote wants us to pay $96/yr for this? Needless to say, I’m quite keen to get my life out of Evernote. I thought of moving to Apple’s Notes app, but the formatting isn’t so great and I really like the way Agenda works. So, +1 for Evernote import. And consider that you might attract an avalanche of Evernote refugees who are fleeing both the search failures and the annual subscription. Your “cash cow” pricing model needs a better name. But it’s vastly superior to what Evernote is offering. Yeah, “cash cow” was never intended to be the real name. We probably should just start calling it the “Agenda model”. Indeed, evernote import would be a good idea. We’ll see what we can do. Its Perfect @mikeorren! This is the best solution ever. I just left evernote. Thanks!! !